The Sure Step Methodology is essential to ensuring success for your organization. When implementing a new solution, you will need to have support from both upper and middle management. In order to ensure a smooth process, MIG Consultants will implement the Sure Step process. The steps shown below allow you to present your business solution and attain approval. Your solution’s implementation process will be facilitated as all the research and upgrades necessary will have been done in time. 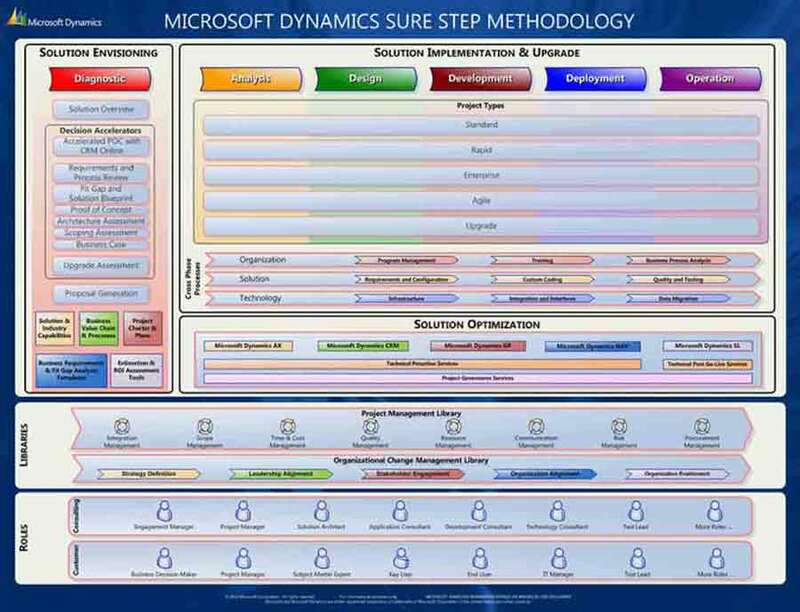 Take a look below to get a better understanding of the Microsoft Dynamics Sure Step Methodology to ensure your implementation is successful.